Always one to appreciate serious obsession I couldn't resist popping in to the local dog show. 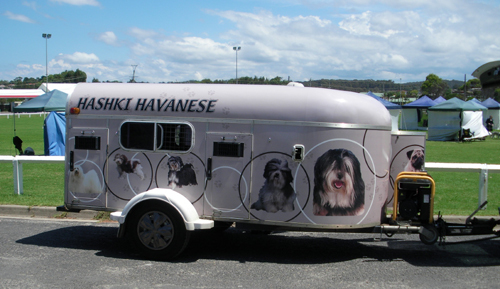 The 'dogvan' above had a generator running all day (unclear whether it was for air con or television). 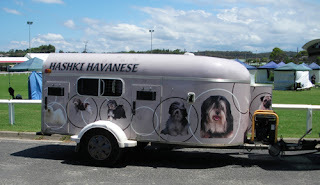 One thing about the dog owners in general is they are not an effusively friendly bunch, but on further enquiry I found out that the dogs had actually painted the van themselves! Made me think there is an opportunity for the grey nomads to do the same. Don't leave it to the hippies and backpackers to decorate their 'Wicked' campervans, lets see some serious portraiture on the Winnebago!